“Because you’re never going to get a good parking space up front.” She said. Now, the funny thing is, it had never occurred to me I wouldn’t get a parking space up front. I assumed I’d get up close. I drove up and down, row after row of filled spaces. “See I told you.” She said. And right as those words left her mouth a car pulled out. I had been parked in one of the closest spaces next to the mall. My friend looked at me then scratched her head. “That was just lucky.” She said. “Lucky?” I asked, really curious now about her thought process. “That’s weird because I always get the closest parking space, no matter where I am, even at the grocery store. Now she looked at me like I was the alien. You see, it has never occurred to me I wouldn’t get the closest parking space or the fastest checkout line or the near misses with car accidents and even an airplane crash where I was the only one to walk away without a scratch. I never really thought about it. My memory went back to the first time I did think about luck. I was about 9 years old at a horse competition with my Grandfather, an ex-jockey and horse trainer. I came in last in the competition. To say I wasn’t happy is putting it mildly. Also, I felt like I’d let my Grandfather down. When I looked at his face he smiled and told me I was the luckiest girl in the world. I still didn’t see it that way. Losing wasn’t in my DNA. Furious, I kicked at the dirt outside the arena and proceeded to tell my Grandfather I’d never win because the other girls were bigger and had more experience than me, their horses were more expensive and the judges favored them over me. I grumbled all the way to the stables. I can remember as clear as a bell seeing my Grandfather smile his warm smile and say, “Susie Bella, there was a time I felt exactly like you’re feeling right now. But then something happened.” His eyes twinkled while we washed off the horse together. I stayed quiet, pouring water over the horse, scrubbing her clean, and buffing up her hooves until there wasn’t a speck of mud on them. I couldn’t take it anymore. I wanted to know what had happened to turn my Grandfather’s luck around. I bit my tongue and waited until he spoke. We walked the mare back to her stall, she pranced in, showing off her shiny clean fur and combed out tail. The other horses watched her… jealously. Their riders hadn’t taken the time to to wash them off. In fact, some of them were still sweaty and dusty because they’d been ridden, put back into their stalls and left by the rider, the ones who’d won the ribbons and trophies. “Has it come to you yet?” He asked. The frustration bubbled up inside me, I wanted to scream, “WHAT, tell me, how do I become lucky?” But I didn’t. That would’ve shown a lack of respect and a good horserider always showed respect to their teacher. “Why did he always have to make everything a lesson?” I thought. We got into the car and I stayed silent. When we drove up to the Dairy Queen we both got out, walking in still in our riding gear, me with my knee high leather boots and him too. A hefty woman behind the counter rushed over to us as soon as she saw us. “How’s the lady with the brightest smile in the world doing today?” My Grandfather asked sincerely. To me she didn’t have a smile on her face, she looked tired and like she couldn’t wait to get out of there. But when my Grandfather said those words to her, she changed instantly. She smiled broadly and her smile really did seem to light up the place. “What’ll it be?” She asked. “The usual?” She asked. “Yes, ma’m.” My Gandfather answered. In a few minutes, she handed up both chocolate milkshakes with extra whipped cream and two cherries on top, not one cherry but two! She leaned closer to us and said lowly, “I added an extra scoop of ice cream for ya’ll. You’re the nicest customers I’ve ever had.” I noticed she even had dimples, she was cute when she smiled. When we got back to the car, I slurped up all the whipped cream and ate the cherries. “That’s the best milkshake in the world.” I announced. “Now, you’re starting to get it.” He said. My mind raced, I could feel the wheels of my thoughts churning. I’d almost solved the riddle of how to have good luck. But I hadn’t quite gotten it yet. “Did you see the lady customer at the ice cream store tapping her fingernails on the counter for the waitress to hurry up?” He asked. “Did she get a nice big chocolate milkshake with extra whipped cream and two cherries on top?” He asked. I thought about it and it dawned on me. No, she hadn’t, she got the milkshake they show in the menu. Not the special ones like we got. “Why do you think we got the best milkshakes in the whole wide world?” He asked. Then it hit me like a ton of bricks. “Because, we have good luck Grandpa!” I said excitedly feeling some of my pride rush back. “Huh?” I asked, confused again. Now, as an adult, I can see where I’ve been lucky and where I haven’t. And it all goes back to that day with my Grandfather. My friends don’t understand it, they say I was born under a lucky star. You and I know the truth don’t we? Sometimes I go with friends to a casino, and I know beyond a shadow of a doubt that no matter how hard I try, I can’t lose. The last time I played poker, the odds against me were 100 to one and I still won. Because of my spiritual beliefs, I don’t abuse good luck at the casino. You can go to any casino or bar and watch the faces of the “losers”, they’re the ones complaining that it’s the machine’s fault or the table is cold or a million other reasons why they aren’t winning. The answer is in their faces, they are projecting their beliefs about losing onto something other than themselves, in doing so, they’re disrespecting luck. And like a lady, luck doesn’t like to be disrespected. I’ve come to realize luck is an energy. We’re all energy. What you think and say goes back to you. The power of your life is in your words. What are you saying to yourself and to others? Say, “I’m the luckiest person in the world, I’m blessed, I’m loved.” Say it, even if you don’t believe it, say it until you do believe it. Take care of yourself, your things, your thoughts, the people in your life and others. Be generous to others, tithe, volunteer. Be grateful. Be careful who you give your trust to. If it’s to someone who doesn’t care about herself or himself, that could come back to haunt you and hurt the good reputation you’ve worked hard for. Look at how someone conducts all aspects of their life before giving any energy to them. They could have spiritual cooties that rub off on you. You become like who you hang out with. Sometimes you have to be the one to cut the energy cord or they can drain your good energy. This includes manipulators, substance abusers, excuse addicts, and co-dependants. Move on. Its time to evolve. I’ve said this before and I’ll say it again. Smile, be friendly, say something kind. Lady Luck likes having the brightest smile in the world and she likes being appreciated for it. Take responsibility for the times when you attracted bad luck. No excuses, it all boils down to you. Do what you say you’re going to do. Stop procrastinating and stop making promises you won’t keep. Do these things and you’ll see good luck is about evolving your consciousness. When you stop wanting good luck and needing it to come to you, it suddenly will. Smile at good fortune and it will smile upon you. I’ve avoided car accidents by the skin of my teeth, walked away from an airplane crash with not one scratch and am given things all the time. Good Luck is your belief system. I believe I’m the luckiest girl in the world and I appreciate it, respect it and take care of it. Say that over and over until you truly believe it and you will experience it. 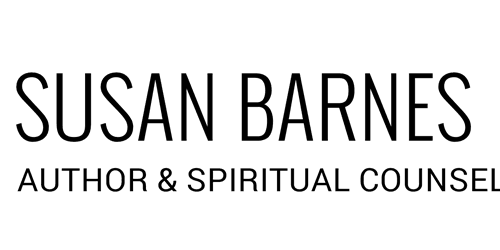 Susan Barnes is the author of 8 books, including Love Magic and Write to Ignite. She is available for clairvoyant and tarot card readings, specializing in love and money issues.